About 10% of people infected with Mycobacterium tuberculosis develop active tuberculosis (TB), and Th1 effector cells and Th1 cytokines play key roles in controlling M. tuberculosis infection. Here, we hypothesise that this susceptibility to M. tuberculosis infection is linked to increased T regulatory (Treg) cells and Th2 cytokines in TB patients. To test this, we recruited 101 participants (71 TB patients, 12 non-TB pulmonary diseases and 18 healthy subjects) and investigated Treg cells and Th1/Th2 cytokines in peripheral blood. CD4+CD25+ T cells and CD4+CD25+FoxP3+ T cells significantly increased and IL-5 dramatically decreased in TB patients relative to healthy subjects. CD8+CD28− T cells, IFN-γ, TNF-α, IL-10 and IL-4 significantly increased in patients with culture and sputum smear-positive pulmonary TB (PTB(+)) compared with healthy subjects. CD4+CD25+FoxP3+ and CD8+CD28− T cells significantly decreased in PTB(+) after one month of chemotherapy. CD4+, CD4+CD25+ and CD8+CD28+ T cells significantly increased in extra-pulmonary TB patients after one month of chemotherapy. 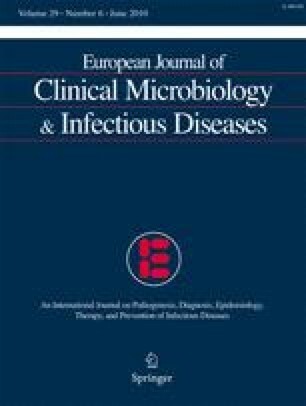 These findings suggest that M. tuberculosis infection induces circulating CD4+CD25+FoxP3+ and CD8+CD28− T cell expansion, which may be related to the progression of M. tuberculosis infection, and that the balance between effector immune responses and suppression immune responses is essential to control M. tuberculosis infection. This study was funded by grants from the Ministry of Science and Technology of China (2006AA02Z465) and the People’s Liberation Army (06M302). We assure that, as the authors of this paper, we have a financial relationship with the organisation that sponsored the research. We also declare that we have no conflict of interest.